One quote from Miyazaki's first book, "Starting Point", has always remained in my mind. "I have never seen a film that treated its audience with as much contempt as a Disney film." He was speaking about the films Walt Disney himself oversaw. He also thinks very little of Osamu Tezuka, the "God of Manga" and creator of the Japanese anime industry. He calls Tezuka's outlook "cynical" and how he had to part ways from Tezukas way of doing things. I have to wonder if there's anyone in animation that Miyazaki actually admires. From reading those two volumes of writings, it's clear that you don't have a career like Miyazaki's unless you're an incredibly smart individual, and Studio Ghibli has three of them! What I'm beginning to admire about him is his dedication to animation. That is his focus, and all his energies are to that end. Lasseter is, for all intents and purposes, merely a cog in Miyazaki's overall machine; I'm sure he knows it too. NHK Japan has released documentaries about most of Ghibi's recent films, as well as exclusive interviews with Miyazaki and Toshio Suzuki. 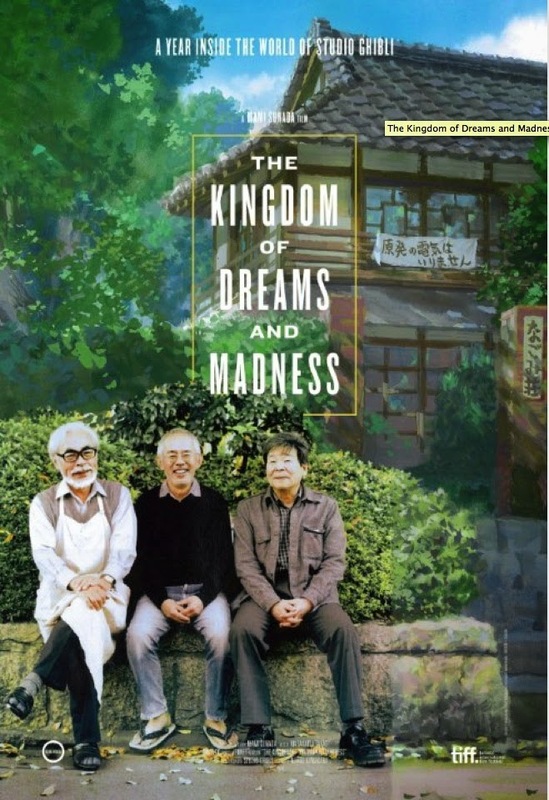 There's also a recorded conversation between Miyazaki and the Japanese film giant Akira Kurosawa that took place in 1993(or earlier, since the clip is released in 1993), that, is very much worth checking out as well. On that video of the oscars https://www.youtube.com/watch?v=9ZIG14mxB9w , John Lasseter introduces Miyazaki. Miyazaki starts his introduction by saying that he's lucky to have lived through an era that have seen the last of animation done with pencils. Pretty much saying his distaste of 3d Animation. In a way, Miyazaki needs John's industry connections far more than John needs Miyazaki's. That said, John draws a lot of creative fuel from Miyazaki which is where the trade-off takes place. Of course, I wonder what John would think after seeing Miyazaki saying this onscreen in this doc. It would probably sting him a little, but I'm guessing he wouldn't be totally surprised. There is a clarification about Miyazaki's comment on Lasseter. I'm a native speaker of Japanese and I think the translation might be misleading there. "What do I like about him? You know, our relationship is beyond description. Lasseter is there, always there for me. " You can see he really values their relationship when he mentions time to time again that John is his best friend. Thank you for posting that clarification, Anonymous . That puts a different light on his remarks. I wonder how many other examples there are of poor translation that contribute to the image many people have of Miyazaki as a 'grouch' ?